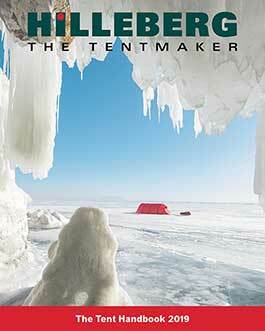 Hilleberg the Tentmaker is a family owned company with over 45 years of experience in manufacturing lightweight, all-season tents of the highest quality. Browse our site for information on tents, practical hints, and dealer locations. Our free catalog, "The Tent Handbook", includes detailed information on all of our tents as well as helpful tips on choosing the right tent and getting the most out of your tent. Click here to request your copy today. Our online product catalog has everything you’ll need in the way of Tents and Tent Accessories. Going out with your tent this spring? Check out our videos about using your tent.